Urgent Financial Problems? Need a Fast Cash Personal Loan? Horison Credit Moneylender (Licence No. 58/2019) is a reputable and legally licensed moneylender operating in Singapore. The financing solutions that we provide are tailored to meet the needs of our clients. We offer fast and convenient cash solutions to people who meet our requirements. It is common to encounter financial difficulties, and in such times many people do not have a source from which they can access quick cash. Some of them are encumbered by a variety of issues including poor credit history, strict borrowing rules and loan approval times that are too long. At Horison Credit, we remain sensitive to our clients’ needs where accessing emergency cash is concerned. As a Licensed Money Lender in Singapore, the Ministry of Law in Singapore regulates our operations. We also ensure that we abide by the Moneylenders Act and Moneylenders Rules where our interest rates and repayment plans are concerned. You can be sure that we will offer you a transparent service that is convenient and fair. We also offer excellent customer service with a team that is more than willing to answer all your questions. Why Choose Horison Credit Moneylender? Fast processing – Traditional lending institutions have a long application process with many approval steps, which means that it can take weeks for your loan to be approved. We on the other hand offer an application process that is simple and fast provided that you produce the required documents on time. Our goal is to ensure that you have the money as fast as possible. Simple eligibility requirements – We carry out an assessment of your ability to pay back the loan based on your current earnings and not on the basis of credit history. This means that in order to be approved for a loan, you just need to show us that you are in steady employment and prove that you are earning an income. With this, we will be able to come up with a payment plan that works for you. Debt Consolidation – If your debt profile is not favorable, we can help improve it by consolidating all your debts into one single payment. 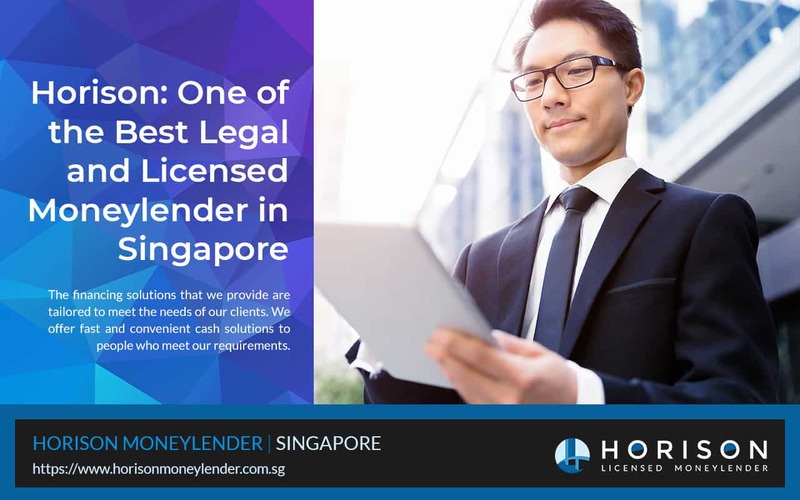 With one single loan from Horison Credit, your trusted money lender in Singapore, you can pay off your debts and make one payment every month, which will improve your credit greatly. Maintain Your Relationships – If you are always borrowing money from your colleagues, family and friends, you can be sure that soon you will have very strained relationships. Why not maintain those relationships by coming to us for your financial needs? We will keep everything confidential and you will be able to keep your relationships easy and fun. The money you get from us can be used to handle emergencies, pay tuition fees, rent and utility bills, fix damaged equipment and more. It is also good to know that should you decide not to take a loan even after it has been approved, you will not incur any penalties and can come back again should you need some fast cash. Life has a way of throwing curve balls our way and putting us in situations that are beyond our current financial abilities. If you find yourself in such a situation, you need to reach out to someone for help. Family and friends may be bogged down with their own issues and may not necessarily be the best option. Reach out to Horison Credit! As one of the most efficient licensed money lender in Singapore, our priority is to make sure that you get the cash you need, fast! We offer you an efficient service so that you can handle your emergency in time. Whether you need to pay a medical bill, fix a car, pay tuition or simply handle some of the bills that are currently overdue, we have a loan that will work for you. We are committed to ensuring that you get the cash that you need, when you need it. Trust Our Integrity and Code of Ethics. Horison Credit Moneylender is Here to Stay. When it comes to how we deal with our clients, we adhere to a code of ethics that is very strict. All our charges are upfront. You can be sure that you will not suddenly discover hidden charges and costs. This integrity has caused Horison Credit to gain the trust of our clientele. We make sure to walk our clients through the contract, answer any questions they may have, and explain everything before the signing. This gives you enough time to review the fine print and we can assure you that there will be no surprises. You will also be happy to find that Horison Credit application forms are simple, which makes them easy to fill out. Our pride as one of the top money lender is not just to give you the cash you need, but to also offer you financial advice that is sound. Our terms and conditions will be explained to you and the repayment plan will be tailored to ensure that you are not overly burdened when paying back the loan. We provide cash loans, also known as payday loans that is available for everyone. Providing you the most reliable loan services that you need during time in need of cash. We face difficulties at times when payday is a couple of weeks away, and urgent needs always seems to arise at the most inconvenient times, where you least expected. At Horison Credit Moneylender, we provide you with fast cash loan, assisting you out during these emergency times with a fast approval cash loan until your next payday. As one of the fastest licensed moneylender in Singapore, we also provide other types of loans like Personal Loans with the low interest rates that you will definitely be glad that we can assist your financial needs. Just provide us the required information for your loan application and we will help you on the processing. Being one of the most reliable and friendly money lender in Singapore, you can have a peace of mind on our loan services. This will ensure you, to just focus on the payment or repayment for your payday loan.  Our friendly staffs will always be there to answer your queries should you have a doubt on the loan applications terms. Do not assume, if need to, please ask our friendly staffs for assistance or verification. What are the Kinds of Legal Loans That Horison Credit is Offering? There are many types of loan such as education loan, business loan, renovation loan, payday loan and unsecured loan. No matter what type of loan it is, we are always here to advise you on your financial needs. Payday loan and personal loan are the most preferred based on our clients as these types of loans would assist them during emergencies for cash. To ensure that we are always updated and trusted money lender in Singapore, we have always updated our License Number at the top of the page. For further verification you can always visit Ministry of Law’s website and get the latest updated registered and licensed money lender. Their website also provides the latest updated licensed money lenders. If you have any uncertainties on any money lenders, you can do a check here. From time to time, this link will be updated. If the link is found to be broken, please contact us and we will update the information. Our office location is easily accessible and away from the crowd’s view for more privacy as we believe in customer’s privacy. Our loan application process is simple and straight forward. Once verified and confirmed, and your loan amount is approved, you will get fast cash loans from us. Take note of the repayment date and ensure you make the payment on time. Give us a call and we will be glad to assist and advise you on the type of loan for you, be it payday loans or personal loans. Trust Horison Credit Moneylender today. Fast cash whenever you need. The staff are very friendly and helpful. They have always helped me at the right time. My first loan was a fast one. Friendly staffs and advised me the right amount for loan. Thanks! I’ve been happy with the services provided by Horison Credit Moneylender. THe staff has been wonderful! He has returned my calls quickly, and he answered all my questions.